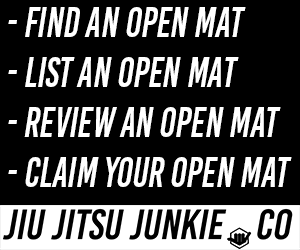 The sun on another Polaris Professional Jiu-Jitsu Invitational sets and now that the dust has settled we’re here to break it all down. Once again this was a very solid Polaris card with some great Jiu-Jitsu on show throughout the night. My match of the night definitely had to be Tommy Langaker vs Sebastian Broshe, but we will get onto that later. But the night truly goes to Ffion Davies who went against all odds to defeat Gezary Matuda for the under 55 kg title. The first match of the night was a bit of a cagey affair, both fighters seemed reluctant to open up their game, which is understandable. 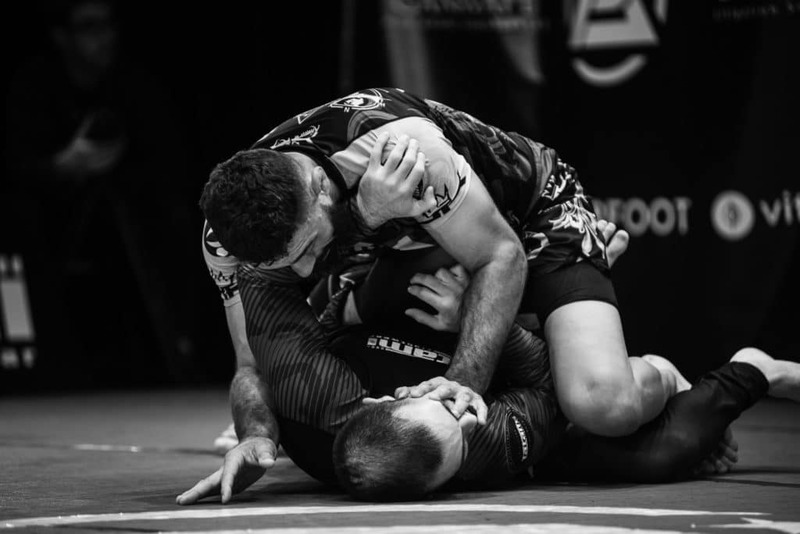 It was Tom Caughy who had the majority of the action, regularly pulling guard and sweeping the 10th Planet competitor. Tonight was the first outing from three ECJJA competitors. Tonight it was the purple belt Marcus Phelan coming out on top with the higher work rate and the back take. Chirs Newman is no slouch but unfortunately, it wasn’t his night. These two are no strangers to each other and Arya Esfandmaz showed us just why he’s one of the best super heavyweights in the UK. 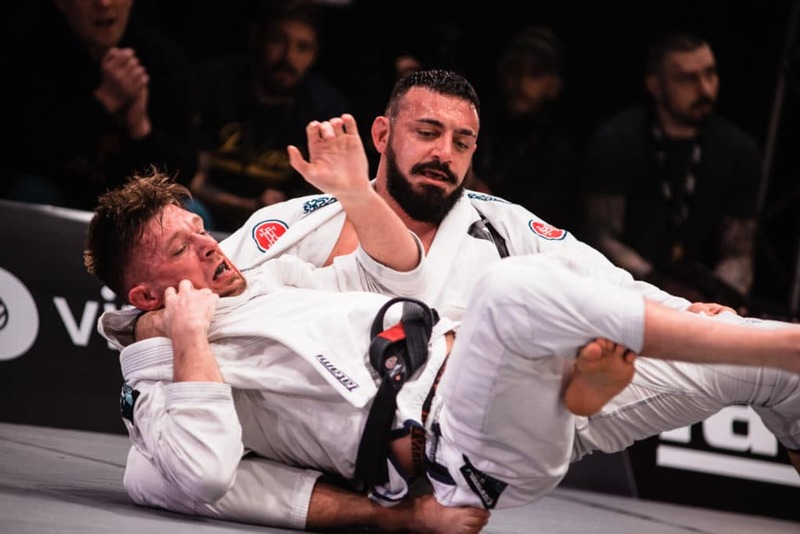 A quick guard pass saw Esfandmaz control the rest of the match with heavy top pressure, which from the side of the mats looked horribly uncomfortable for Hughes. After Hughes escaped an initial Bow & Arrow choke attempt, it wasn’t long before a second one was applied to get the tap. Our next prelim match sees the return of Freddie Vosgrone in his trademark red singlet go up against the Icelandic Haldor Valsson. This was an exciting matchup with both fighters having their fair share of sweeps, wrestling and foot lock attempts but it was Vosgrone who won the favour of the judges to take the win. 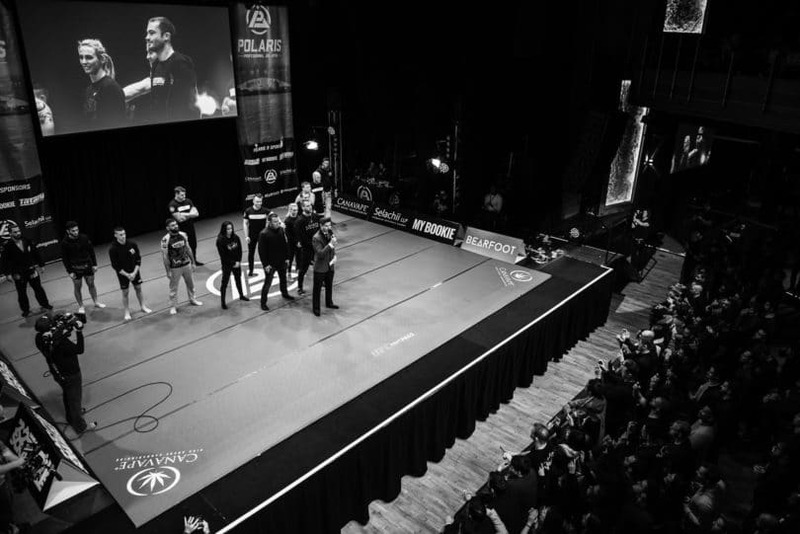 This match sees two previous Polaris 8 winners Ash Amos and Ed Ingamells go up against each other. This was a game of three thirds, with Ed having the majority of the attacks within the first few minutes, but Ash defends well and ultimately passes the guard. Here it’s all Amos, with his heavy top pressure being too much for Ingamells to recover. This was a big win for Amos, who goes on to win his second match at Polaris and we’d love to see how far we can see him go. Our fifth preliminary match sees Tarik Hopstock go up against New School BJJ‘s Eoghan O’Flanagan. 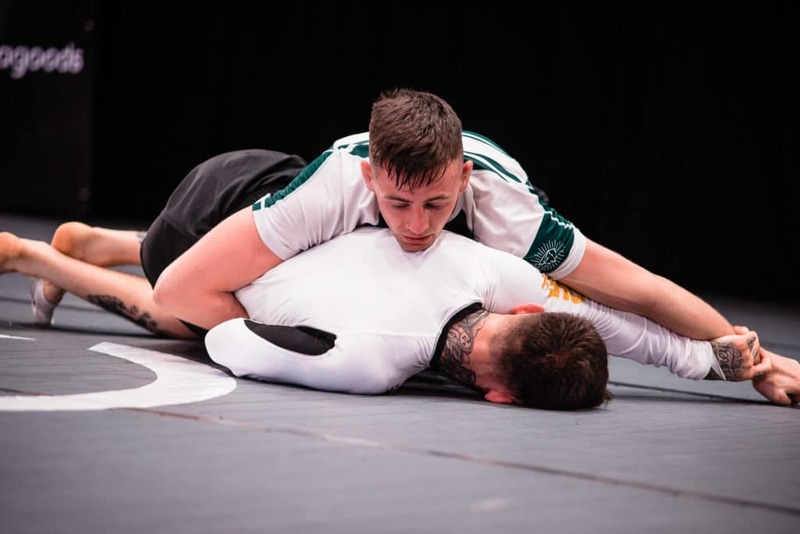 The two are both known for their dynamic guard work with Eoghan looking to engage in the foot pummeling, but it was Tarik who managed to catch a foot and turn for the bell down straight footlock. This was by far the best match of the night, and really put Scandinavian Jiu-Jitsu on the match. 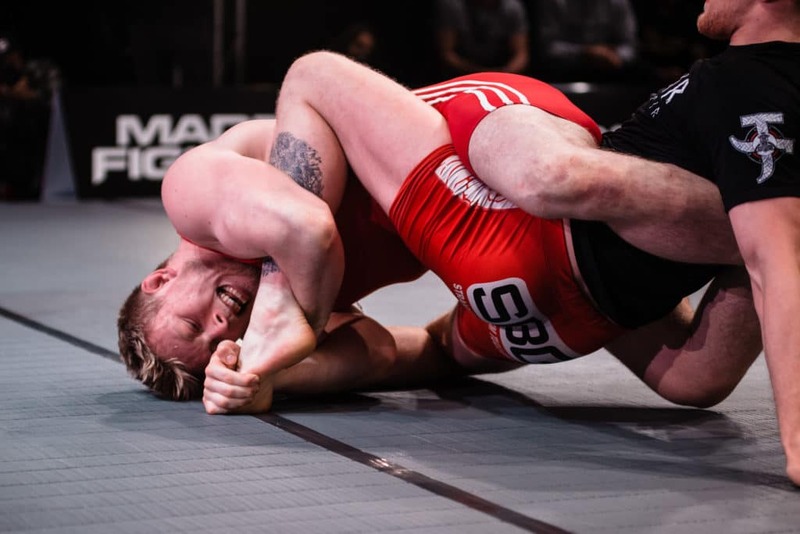 Here we had Norwegian competitor Tommy Langaker go up against Yoga for BJJ’s creator and all-around lovely guy Sebastian Broshe. The match starts off at a high pace with Tommy diving for a flying triangle, which is tight, but Sebastian holds outs to continue. The match goes at an absolutely frantic pace until the dying end where Tommy takes Sebastian’s back and sinks in a collar choke for the tap. At the end of the match, Tommy calls out Keenan Cornelius and doesn’t care about the weight disadvantage. We can only hope the Polaris matchmakers are listening. Our first main event card is the only gi match on the main card tonight and see’s BJJ legend Eduardo ‘Teta’ Rios go up against the Finnish Santeri Lilius. Unfortunately, this match didn’t have the dynamic pace of the last match but was a more strategic battle between the two. While it was Lilus who had the high work rate, passing attempts and footlock attempt against Rios, it was the judges who saw Rios’ guard retention in the last five minutes as the determining factor of this match. Our next contest saw two dynamic grapplers go at it, as ECJJA head coach Darragh O’Connail go up against Atos’ Michael ‘El Patron’ Perez. Here we have one of our first name maker matches, where Fight Sports black belt Tom Halpin goes up against the Canadian Ethan Crelinsten. Halpin, who has finished both of his other matches in record time was about to take on his toughest competitor yet. 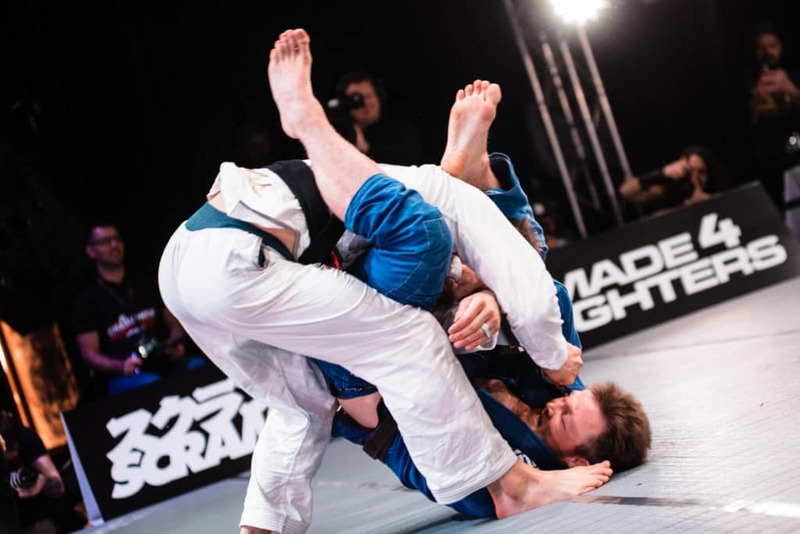 Unfortunately, the Canadian’s Tristar and Danaher pedigree was too much for the Irishman, who saw himself defending numerous rear-naked choke attempts until a switch up where he found himself in an armbar and conceded the tap. Our next matchup is for the number one contender title for the Polaris Welterweight title, currently held by Mansher ‘Munch’ Kheira. Ross Nichols, who was already the number one contender, found himself up against the formidable Vagner Rocha, who secured this match after his dominant performance against ‘Smooth’ Benson Henderson. This match saw Rocha majority on top looking to pass the guard of Nichols, however, it turned out to be far more difficult than that. 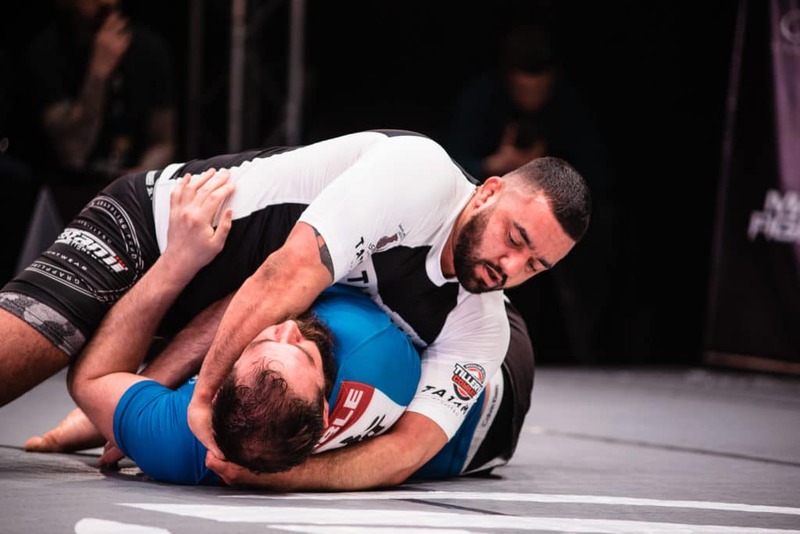 Ross’s flexibility frustrated Rocha, and saw him enter into one of two footlock entries. Ultimately though, it was Rocha who took the judges decision as his work rate and constant pressure, saw him favourite of the judges and the ruleset. Our co-main event matchup was perhaps one of the most talked about matchups in Polaris history. Here we have new promoted Black Belt Ffion Davies go up against the formidable Gezary Matuda, who has the fastest submission in Polaris history. This was going to be an uphill battle for Davies, but her recent competition record has shown that was more than up for the challenge. The match starts with the two athletes collar tieing and sees Gezary jump guard to look for the foot. After a small footlock exchange, we then see Ffion work her magic, passing the guard. Davies passes Matuda’s guard into the mount, where she then hunts for the head and arm. 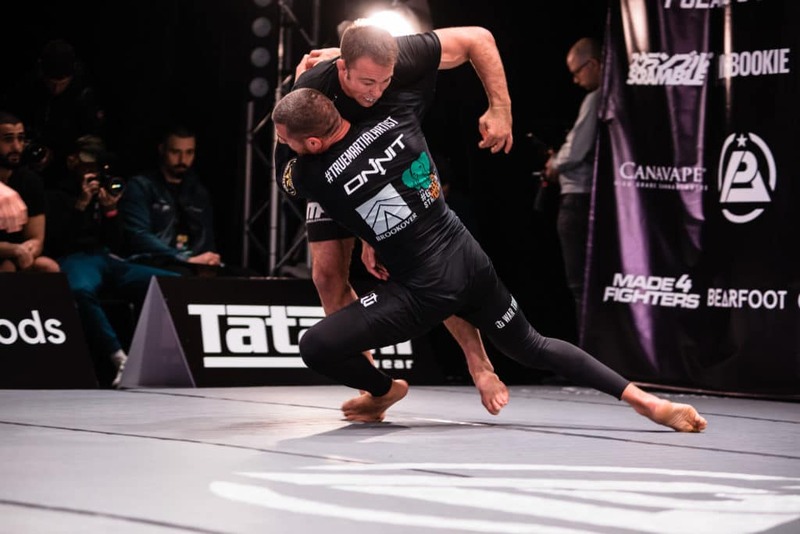 After a bit of time and some defensive work for Matuda, she ultimately submitted to crown Davies the new Polaris 55kg champion. After the match Ffion says she would like to take on Beatriz Mesquita, a matchup we would all like to see. The final match of the night is an all American affair, with Polaris veteran and decorated MMA star Jake Shields go up against the current undefeated Bellator fighter and all around incredible Grappler Rafael Lovato Jr. Unfortunately, like many people Lovato Jr. was unprepared for the power for Jake Shields, who has been described by many to have ungodly strength. However, it was Rafael who took home the time after a few Kimura submission attempts and a higher work rate.